In the hands-free race to limit the consequences of distracted driving, two familiar names appear to have sped ahead of auto manufacturers. LANDOVER, Md. — Voice-recognition technology has come a long way in recent years, and in some ways, drivers are safer because of it. But a new study reveals that some of this technology is more distracting than automakers might want you to believe. In the hands-free race to limit the consequences of distracted driving, Apple and Google appear to have sped ahead of auto manufacturers. Features such as Apple CarPlay and Android Auto place less demand on drivers when compared with built-in vehicle infotainment systems, according to new research from the University of Utah and the AAA Foundation for Traffic Safety. Using five modern vehicles, researchers tested the reaction times of drivers while they attempted to perform various hands-free tasks using both the native infotainment and smartphone interfaces. “What we found is that the systems that come with your cars are much more time-consuming, much more challenging,” said Joel Cooper, research associate professor for the University of Utah. Four tasks were evaluated repeatedly in the five vehicles, and each task diminished the participant’s ability to focus on their top priority: driving. Of those tasks, making a call and selecting music were found to put less demand on the drivers equipped with Google CarPlay or Android Auto versus those using the infotainment systems, Cooper said. Making a call, for instance, was five seconds faster using a smartphone interface. Navigation and texting placed the highest demand on the drivers. Even with smartphone dictation being less intensive, it still took drivers 33 seconds to complete a navigation task compared with 48 seconds for the native systems. Both Apple CarPlay and Android Auto performed similarly in terms of cognitive demand and of allowing drivers to keep their eyes on the road. Of the 2017 and 2018 models tested, some interfaces put more of a workload on drivers than others. “I think one of the big differences is that the native vehicle systems often have drivers step through tasks one item at a time, whereas with Android Auto or Apple CarPlay you’re able to give it a one-shot command,” said Cooper. The processing power installed in the vehicle’s computer ages in the years following its purchase, he added, whereas smartphones — and the reservoir of voice-recognition technology that they draw from — are constantly evolving. “When you buy your vehicle, it ages the day you drive it off the lot. The processing power is quite limited. Phones are always being updated, and they allow you to leverage that up-to-date processing power and the latest algorithms for processing voice,” Cooper said. Researchers along with representatives from AAA showcased their methods in an empty Landover parking lot on Tuesday. Standing alongside the ride-along, representatives were quick to point out that all interfaces served as distractions. “The technology that we have access to today is not free of risk,” said Jake Nelson, AAA director of traffic safety and advocacy. 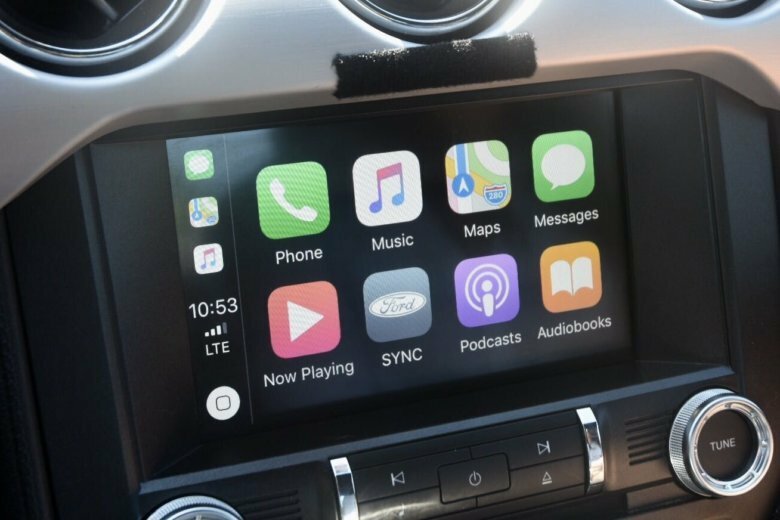 “None of the systems that we tested, including Android Auto or Apple CarPlay, met our requirements or recommendations around how little distraction they should produce. While we know that some industry players are outperforming others, the point is not to use one system over another, but for the industry to be collaborating so that we can make safety a top priority. All in attendance agreed that the safest strategy is to have the vehicle in park while corresponding or planning your route. According to the National Highway Traffic Safety Administration, distracted driving claimed 3,450 lives in 2016 alone. In 2015, an estimated 391,000 people were injured as a result of distractions behind the wheel.